The final squad for the Leinster under-18 interprovincial development matches, which get under way this Saturday, 26 September 2015, in Westmanstown RFC, has been announced. The strong squad features players from a record 13 clubs throughout the province, including Old Belvedere and Boyne for the first time, but it also boasts four Ireland U18s international players, including Eimear Corri who recently made her full Ireland debut in the European Grand Prix Sevens tournament. She is joined by her Portlaoise RFC club mate and fellow U18 international, Louise Scully. 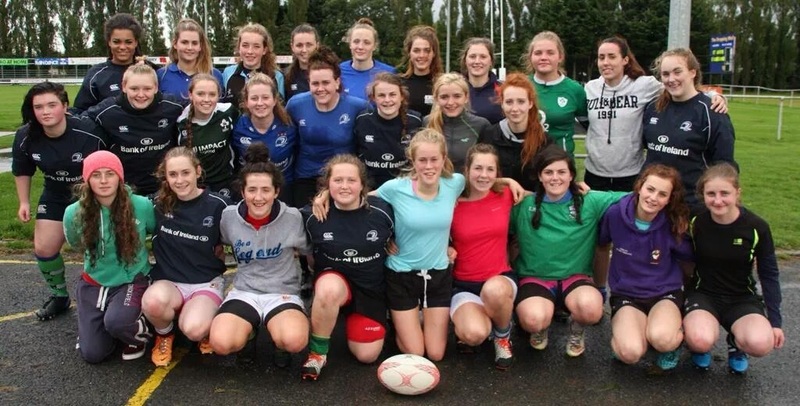 Westmanstown RFC's Molly Scuffil McCabe and Katie Heffernan of Mullingar RFC also represented Ireland at the recent Grand Prix event in Belgium while Niamh Doran from Gorey RFC and Sabrina Kennedy from Cill Dara RFC featured in the Ireland U18s School Games squad which competed in Manchester earlier this month. The 26-strong Leinster panel, which also includes a number of players - Mullingar RFC's Jane Leahy, Wicklow RFC's Hannah Rose Buckley and Kayleigh Sullivan, Gorey RFC's Daisy Earle and Caoimhe Molloy and Portlaoise RFC's and last year's captain Emma Hooban - who made the squad in 2014, has been training hard in recent weeks under the guidance of head coach Aoife Thompson and assistant coaches, Ireland and Leinster star player Sophie Spence and Damien McCabe, and final preparations are now being made for the team's first match against Connacht at 12 p.m. in Westmanstown, followed by the clash with Munster at 2.15 p.m. Entry is free and all support is welcome. The Leinster girls' final game against Ulster takes place on 3rd October at 2 p.m. in Portadown RFC. Leinster traditionally has a strong track record in the U18s development series, winning all three of their matches in 2013 and beating both Connacht and Munster last year in well contested games. The girls drew to Ulster in the final match last year and will be seeking to reclaim their unbeaten record in 2015. Full coverage of the fixtures can be found on Leinster Women's Rugby Twitter account @Leinsterwomen and also the Leinster Women's Rugby Facebook page. 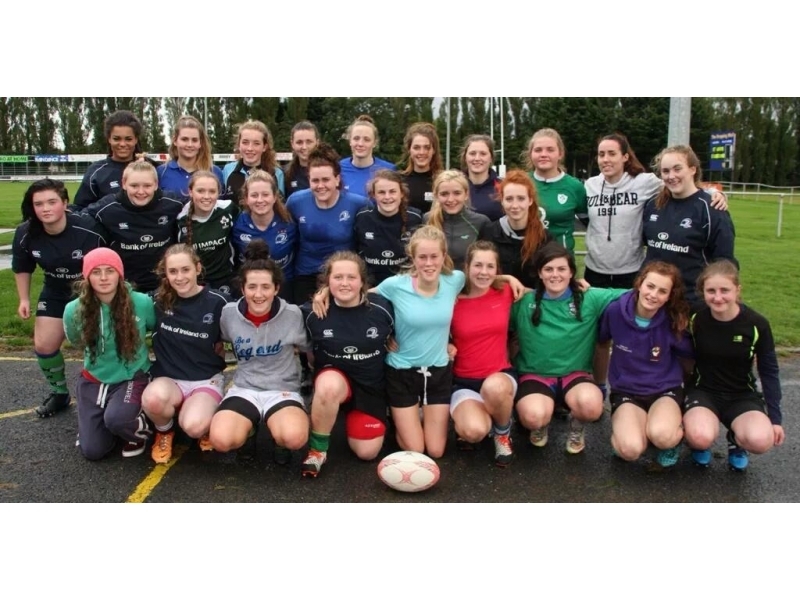 Bethney Sharp (Tullow RFC), Caoimhe Molloy (Gorey RFC), Casey White (Ashbourne RFC), Ciara Patrick (Wicklow RFC), Daisy Earle (Gorey RFC), Eimear Corri (Portlaoise RFC), Ella Duffin (Tullamore RFC), Emma Hooban (Portlaoise RFC), Georgina Steel (Wexford RFC), Grace Kelly (Tullow RFC), Hannah Rose Buckley (Wicklow RFC), Jane Leahy (Mullingar RFC), Jess Keating (Old Belvedere RFC), Katie Heffernan (Mullingar RFC), Kayleigh Sullivan (Wicklow RFC), Liz Brophy (Portlaoise RFC), Louise Scully (Portlaoise RFC), Mary Healy (Naas RFC), Megan Burns (Tullamore RFC), Molly Scuffil McCabe (Westmanstown RFC), Niamh Doran (Gorey RFC), Niamh Tester (Boyne RFC), Nicola McGrath (Gorey RFC), Orlaith Phelan (Portlaoise RFC), Rachel Griffey (Wicklow RFC), Sabrina Kennedy (Cill Dara RFC).